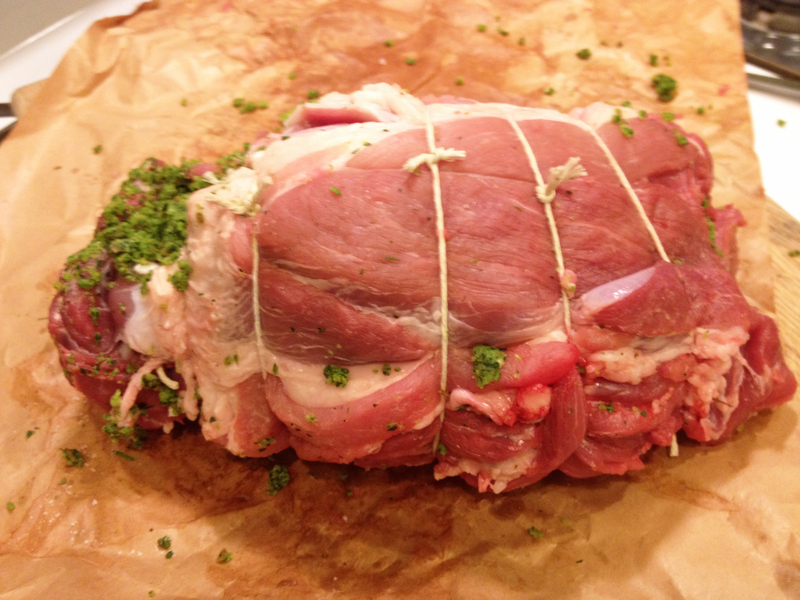 For Easter, I made an Italian pork roast called porchetta. The labor-intensive recipe came from my favorite bread book, Tartine Bread. 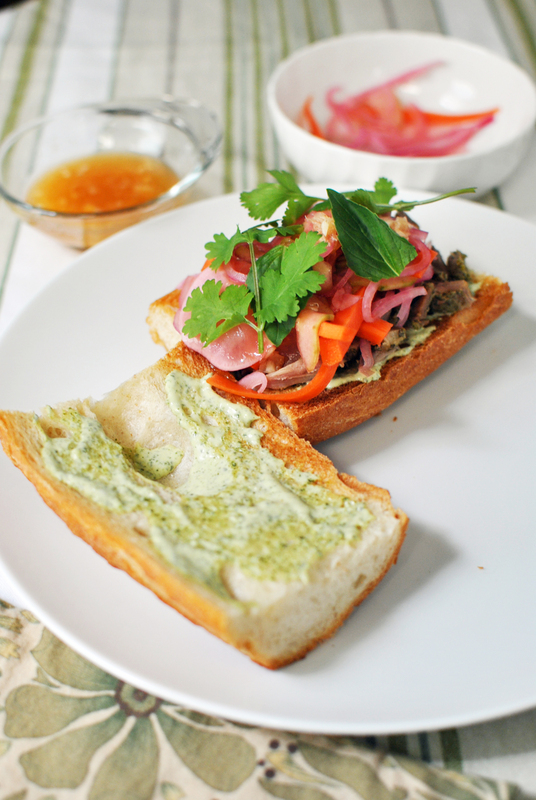 The Tartine recipe starts with a boneless butterflied pork shoulder. This gets smeared with a mix of olive oil, fennel tops, fennel seeds, crushed red pepper, parsley, sage, rosemary, thyme, salt, and — because this is a bread book — bread crumbs. Then you roll the whole thing up like a rug and bind it with string. The roast should resemble a Hostess Ho Ho, albeit with pork instead of cake and fennel stuffing instead of cream. This pork Ho Ho gets roasted at 220 degrees for 8-10 hours. I did the roasting while I slept, but I wouldn’t recommend this. My dreams were haunted by pigs, smoke alarms, and kitchen fires. Sweet dreams aren’t made of these. The pork turned out delicious. But the stuffing was . . . meh . . . not great. First, there was way too much of it. Second, it was too fennel-y. Or too bread-y. Definitely too something. I may try this recipe next. 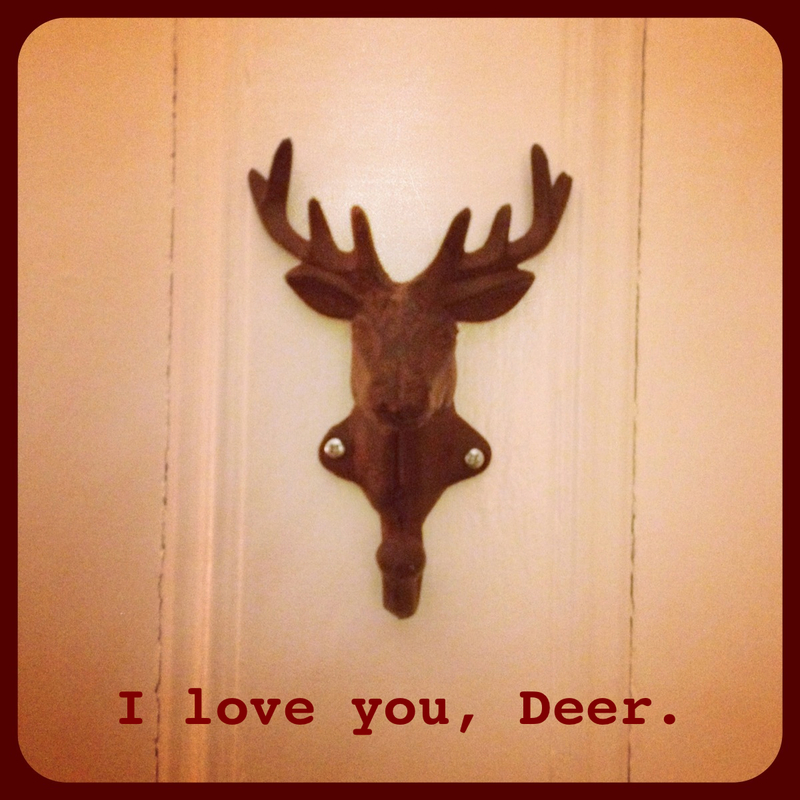 I found this postcard in an antique store last year when I was hunting for wedding decor. I bought it thinking it would be . . . quirky? Not surprisingly, it didn’t make the final cut. A year later, I still find it completely mystifying. 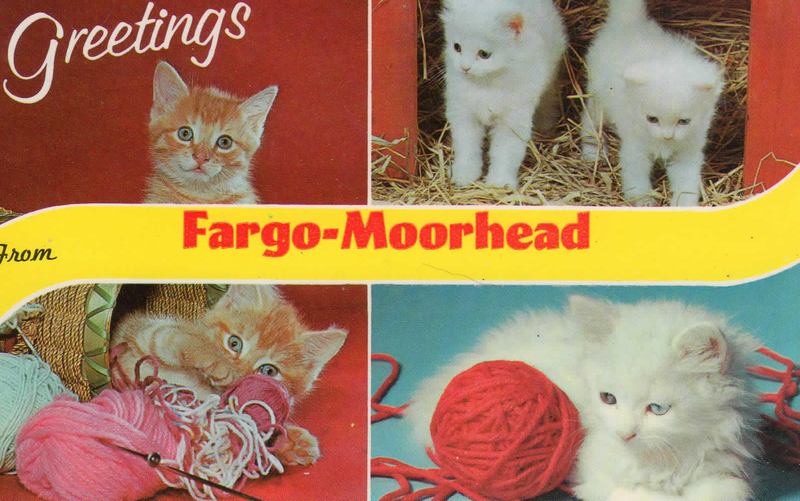 Fargo and its sister city Moorhead, Minnesota, are fine towns, but they have no special relationship with kittens. 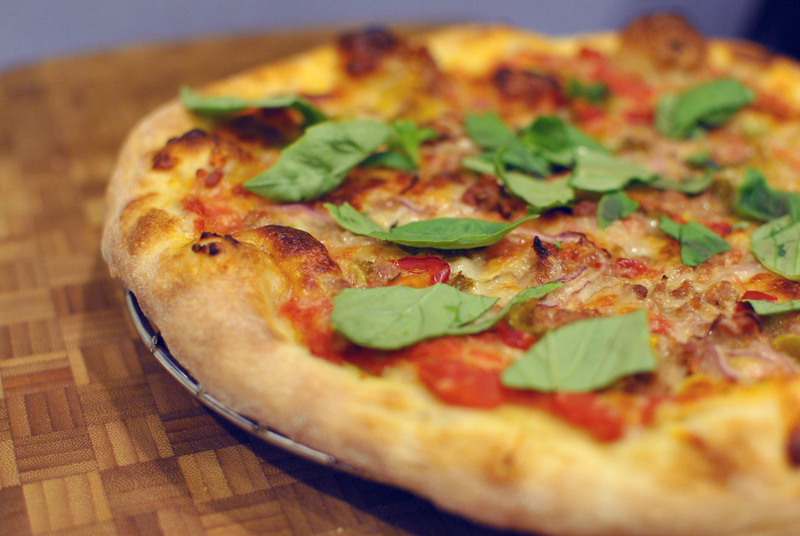 For years, I’ve been circling pizza perfection. I’ve tried more crust and sauce recipes than I can count. Two years ago, Soren accidentally mangled an unbaked pizza trying to get it off the peel and onto the pizza stone. What had been a thing of beauty ended up half upside down, cheese sizzling on the searing hot stone. Maybe there’s no crying over spilled milk. But spilled pizza? You’re goddamn right I cried. I cried my face off. I’m kind of emotional like that. The incident became known as the Pizza Fiasco of 2010.